New Canaan enrolled party voters cast their ballots at the primary election Aug. 14, 2018. NEW CANAAN — Election time is just around the corner. On Nov. 6, Connecticut voters will cast their ballots for governor, lieutenant governor, United States senators and other positions. But before that, residents must be registered to vote. Democratic Registrar of Voters George Cody said he highly encourages voters to register either online, by mail or in person at town hall by Oct. 30. According to Cody, there are a total 13,798 registered voters in New Canaan as of Oct. 1. 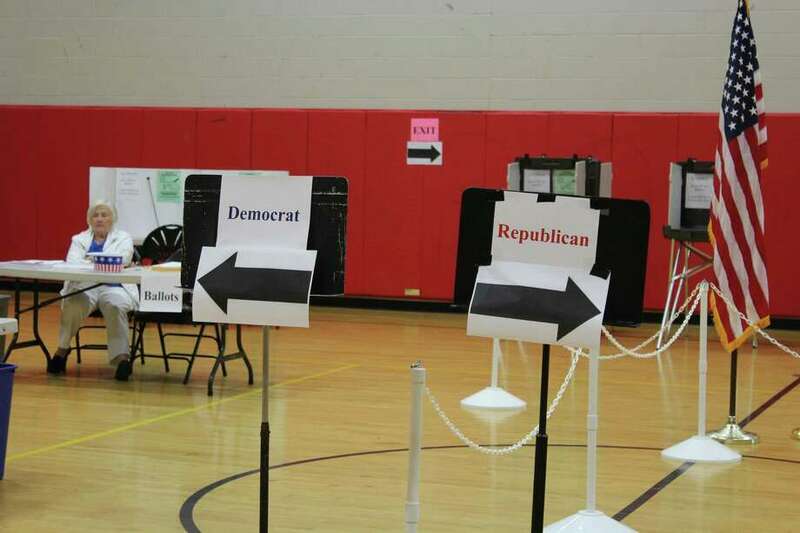 Registered Republicans outweigh Democrats two-to-one in New Canaan. There are 6,285 registered Republicans compared to 2,986 registered Democrats. Unaffiliated party voters amount to 4,376 and there are 151 registered independent voters. “I’m still receiving a lot of applications since Oct. 1,” Cody said Tuesday. There will be two constitutional amendments proposed on the ballot this November that include a Special Transportation Fund “lockbox” and another pushing for public hearings regarding the transfer or sale of state-owned real property. According to Town Clerk Claudia Weber, the three voting districts will remain the same. District 1 will have polls at the high school on 11 Farm Road while District 2 and 3 will be at Saxe Middle School at 468 South Ave.
Weber said people often think an absentee ballot need be postmarked by Nov. 6, but rather it must be in the possession of the town clerk’s office -- Town Hall, 77 Main Street, New Canaan -- before 8 p.m. that night.